Arriving in stores on Nov. 4 via the folks at Eagle Rock Entertainment, Planes, Trains and Eric is a film that documents the Far and Middle Eastern leg of Eric Clapton's 2014 World Tour. The documentary offers an intimate behind-the-scenes look at the guitar icon and his band on the road. 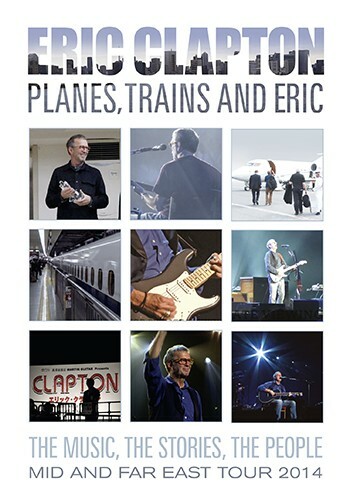 Planes, Trains and Eric also features 12 full-length live performances blended with interviews with Clapton and the musicians in his band. Oh, and that band! The live lineup of Steve Gadd (drums), Paul Carrack (Hammond and vocals), Nathan East (bass and vocals), Chris Stainton (keyboards), Michelle John (backing vocals), and Shar White (backing vocals) must have cost Slowhand an arm and a leg, but as the performances in the film show, it was well worth the price. Cherry-picking the higher profile hits from his discography, Clapton and the band deliver searing live performances of "Crossroads," "Layla," and "Before You Accuse Me," among other gems. 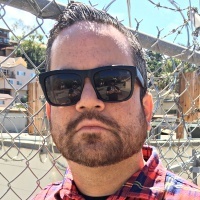 "Tears in Heaven" and "Wonderful Tonight" also make appearances, showcasing the group's dexterity, effortlessly shifting from bluesy rock to gentle ballads from song to song. Paul Carrack (Squeeze, Mike + The Mechanics) contributes colorful organ licks and his unmistakable soulful singing style to the backup vocals. The rhythm section of East (Fourplay, Phil Collins) and Gadd (Steely Dan, Paul Simon) doesn't disappoint, laying down a rock-hard foundation on the groovier material ("I Shot the Sheriff") and sitting back in the cut on the quieter acoustic stuff. I was lucky enough to score a copy of the Blu-ray version of Planes, Trains and Eric and it looked like a million bucks on my big screen. Beautifully shot, the film gives you a bird's-eye view of Clapton and his musical caravan as they traverse through Asia. Years ago, most rock musicians weren't even allowed to perform on that side of the world, so the sights captured in the film are especially unique. The interview footage in the documentary finds Clapton reflecting on the his legendary career, going all the way back to his early days as a member of The Yardbirds. I particularly enjoyed the interview sections featuring his band members. It's not often you get to see Steve Gadd being interviewed, so that was a nice touch. As the film shows, touring the Far and Middle East isn't an easy feat, but it sure does make for a compelling documentary.